The 324,000-square-foot office building has large floorplates within three floors and is positioned to serve tenants of all sizes after its recent renovation with upgraded building systems. Republic Square includes a lake, office building and multiple sites for future development. 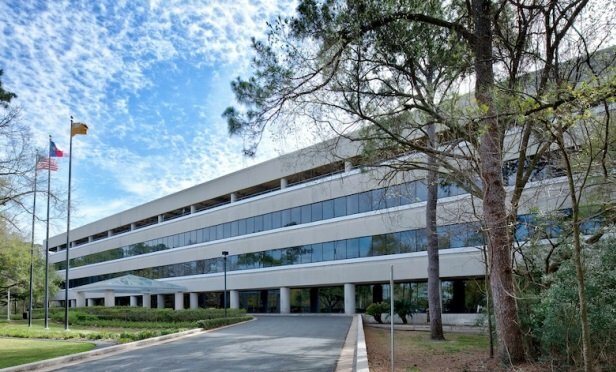 HOUSTON—Energy-related tenants continue to demand space along the Energy Corridor and Republic Square, a campus located at 13501 Katy Fwy., fits the bill. With additional frontage on Memorial Drive, the campus is adjacent to both BP’s Westlake campus and Terry Hershey Park.